This entry was posted in News & Events on April 19, 2017 by Callis. The 2016 boating season is well underway. Every day, thousands of boaters head to the lake to fish, enjoy water sports, and relish in one of the greatest activities there is…boating. But, before you boat, you need to fuel up. Here are a few myths, facts, and solutions related to Ethanol Fuel in Boats. Fueling up a boat before hitting the water happens at retail gas stations for 95% of boaters according to a recent release from BoatUS. Due to recent changes by the federal government's Renewable Fuel Standard (RFS), risk of misfueling marine engines is on the rise. Here’s one reason why. The federal ethanol mandates require increasing amounts of biofuels—including corn ethanol—to be blended into the US fuel supply every year, such as E15 fuel. The approval of E15 fuel is putting boaters who fuel up at retail locations at risk because biofuels ARE NOT recommended for use in boats of any kind. One mistake at the gas pump can be a source of expensive, warranty voiding repairs and dangerous engine failure. Here are a few things to keep in mind the next time you hit the pumps. 1. E0 vs E10 vs E15 and how it affects your marine engine. Three of the most common types of gasoline currently found on the market are E0, E10, and E15. The “E” stands for Ethanol and the number represents the percentage of ethanol in unleaded gas. For marine engines, gas with 10% ethanol or less is recommended. 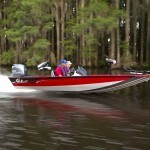 Ethanol fuel in boat motors can put a quick damper on your weekend plans. One of the unfortunate characteristics of ethanol is that it attracts and absorbs water. Gasoline with ethanol can absorb roughly 10 times as much water and still burn through the engine. However, when water comes in contact with ethanol blended fuel, the fuel and water can separate to form distinct layers in your tank. The upper “gasoline” layer will be depleted of ethanol and have a reduced octane level. The lower “phase separation” layer will be a corrosive mix of water and ethanol and no chemical agent or fuel additive can be added to E10 gasoline, in a reasonable quantity, that will fully prevent phase separation or recombine a phase-separated layer. An engine won't run on the water-soaked, highly corrosive ethanol solution that sinks to the bottom of the tank. On January 1, 2008, the Missouri Renewable Fuel Standard became effective. Under this standard, all gasoline offered for sale in Missouri must contain 10% ethanol. 3. What to look for at the pumps. 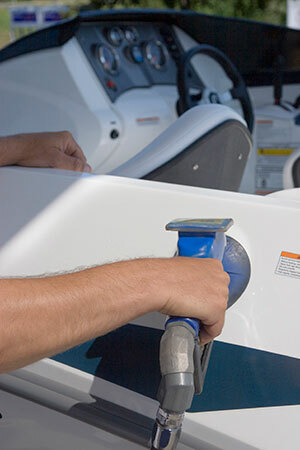 Marine refueling stations are your best options for ensuring you’re getting the proper fuel for your boat and reducing the risk of damages caused from ethanol fuel in your boat engine. If you choose to refuel on the way to the lake, be sure to check the pump first. In the state of Missouri, there is not a requirement for ethanol labeling on gasoline dispensers. Some gas pumps may offer both E10 and E15 or have a blender pump that is used for Flex-Fuel vehicles. Even though E15 can be less expensive than E10 fuel, the higher the risk of engine and fuel system damage is probably not worth the savings. 4. Transitioning from E0 to E10. Ethanol free fuel is the best option for marine engines, but E10 can still be used if necessary. The most likely time for fuel problems to occur is when you first begin using ethanol-blended fuel, because of phase separation. If your boat is currently fueled with Ethanol-free gasoline and you choose to transition to E10, there are few things to keep in mind. - Check for water in the fuel tank. If you discover water in your fuel tank, pump the tank until it is dry. When you remove the fuel, place it in a clear container for inspection. If the fuel is not clear or has a bad or sour odor, you need to clean the tank. - Add a quality cleaner that will help clean deposits in the engine. - Fill the entire tank with E10 fuel. - Monitor the filters and check for clogging. Fact: The only solution for preventing phase separation is keeping water from accumulating in your tank and using quality, ethanol-free fuel. Myth: Fuel that has been separated can be used again if a fuel additive is used. Fact: Once a fuel has gone “bad” it is no longer useable. The only option is to remove the fuel. However, high-quality fuel additives do aide in preventing sediment, gum and varnish buildup that forms when fuel goes bad. The Environmental Protection Agency (EPA) is currently asking for comments on a proposal to increase the amount of ethanol that must be blended into the nation's gasoline supply for 2017. If adopted, these proposed levels will require the use of a record amount of ethanol, forcing higher-level ethanol fuel blends (E15) into gas pumps and at more gas stations. 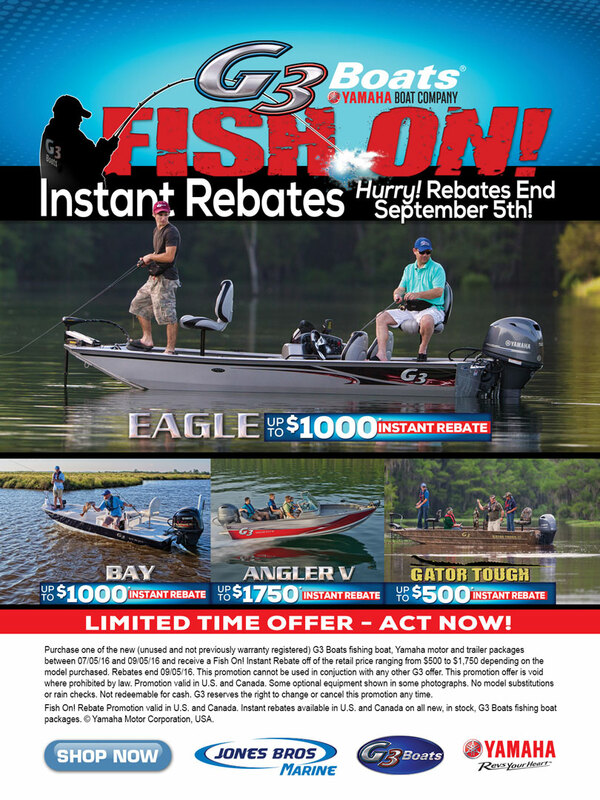 The Boat Owners Association of the United States (BoatUS) is urging all recreational boaters to send a message today urging the EPA to lower the ethanol mandates to ensure an adequate supply of fuel that will work with recreational boat engine and fuel systems and offers a simple way to send comments by going to: http://goo.gl/yczkuK. The deadline for public comments is July 11. Take a minute and leave a comment to help protect the future of fuel for marine engines. Fueling is an important part of any trip to the lake. Don’t let misfueling bring your weekend plans to a halt. Check your tanks, check the pumps, and enjoy the lake! 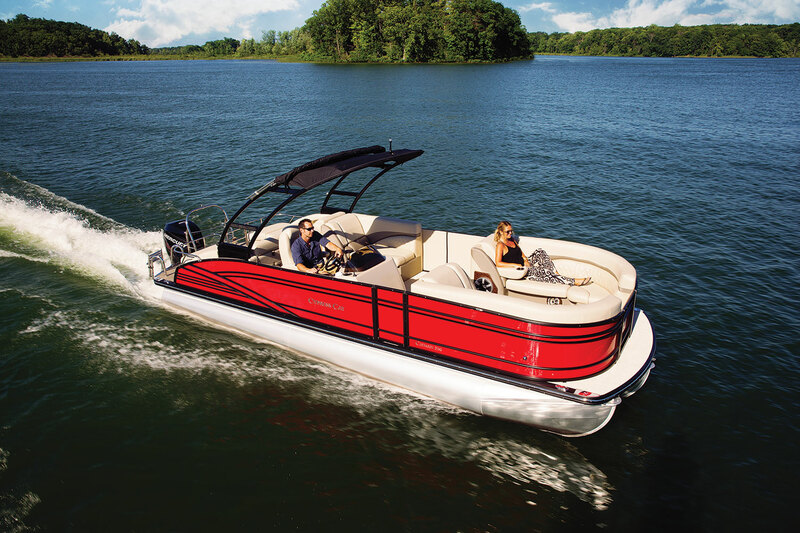 If you have any questions or would like to know more about our boats, products and services, give us a call at 660-747-0388. This entry was posted in News & Events on July 6, 2016 by Jones Bros Marine. This entry was posted in News & Events on July 5, 2016 by Jones Bros Marine. Boating Safety - Are You Ready for Busy Waters? 4 Things You Need to Know. The best place to be on the weekends, especially three-day weekends, is the water. 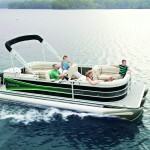 With summer weather underway, the lakes are beginning to fill with boaters and lake enthusiasts. 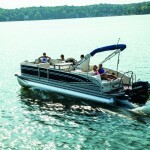 Tubing, skiing, night cruises, fishing, swimming, and family time take place daily at the lakes this time of year. Before you start your weekend adventures, here are 4 boating safety tips to get you ready for busy waters. 1. 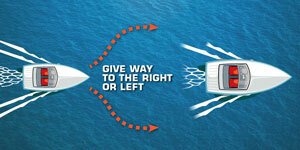 Know when, where, and how to use your navigation lights. 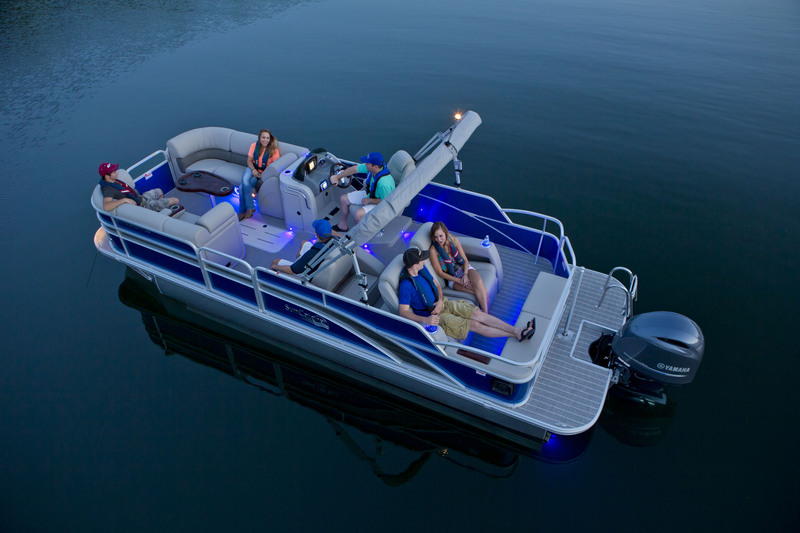 When enjoying an evening cruise or casting a few lines at night, it is imperative to have proper navigation lighting for your boat. The required navigation lights differ depending on the type and size of your boat. For boats less than 39.4 ft in length, red and green sidelights must be visible from a distance of at least one mile away on a dark, clear night. The red light should be on the left (port) side of the bow and green on the right (starboard) side of the bow. An all-round white light or both a masthead light and a sternlight are also required. These lights must be visible from a distance of at least two miles away on a dark, clear night. The all-round white light (or the masthead light and sternlight) must be visible from all directions in a 360° circle. When boats are anchored or moored away from a dock, they are required to display a white light visible from all directions between sunset and sunrise. For boats over 39.4 ft in length visit the US Coast Guard Navigation Rules for further details. 2. Listen and learn the meanings of sound signals or horns on the water. All boaters should know proper sound signals, especially those boaters operating near commercial boat traffic. When you are on the water, there is a possibility of encountering restricted visibility such as fog. Sound signals used on the waterways are like the turn signals used on the highways. Sound signals can also be used like an automobile's horn to let other drivers know you are near or to alert them of danger. Short blasts, long blasts or a combination of both are used during communications. Short blasts are about 1 second in length and long blasts last 4-6 seconds each. 3. Take note of right-away and passing boats on the water. 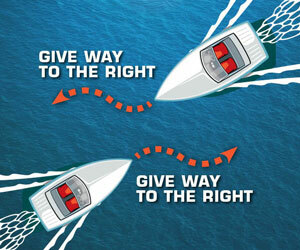 If you meet another boat or PWC head on during your course, both boaters must give way to each other. This is done by each boater turning thier boat to starboard (right). If you are encountering another boat or PWC on their port (left) side of the boat, you must give way and turn starboard (right). If you are overtaking another boat (coming up from the rear) the boat or PWC you are overtaking should maintain speed and you can pass on port or starboard. 4. When to Reach, Throw, Row or Go for man overboard. Unfortunately, boating accidents happen. The boating busy season increases these risks. Knowing how to handle these situations can be lifesaving. If a passenger of a boat goes overboard or falls off a dock, there are four options; reach, throw, row, or go. One or all may be required to make a successful rescue. Use a nearby object in the boat or on shore such as a fishing pole, tree branch, or oar to reach out to the passenger and pull him or her to safety. You can also lay flat on the dock and reach to grab their hand. For people that are too far away to reach, throw him or her a lifejacket, throw cushion, or any device that will allow them to stay afloat until they can be retrieved. If a rowboat is available, row to the victim. 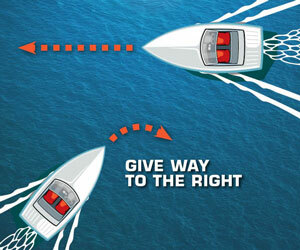 If you are in a powered boat, stop the engine and glide to the person from the downwind side. If none of the other approaches apply, go for help or, if you have proper training, swim to the person. If you have to go into the water for the person, take along anything that floats and can be used by both you and the person you are rescuing. Swimmers without lifesaving training should not swim and instead go for help. Don’t lose sight of boating safety during the boating season. For more boating safety tips, check out BOATING SAFETY – 6 TIPS TO MAKE SURE YOU ARE WATER-READY. 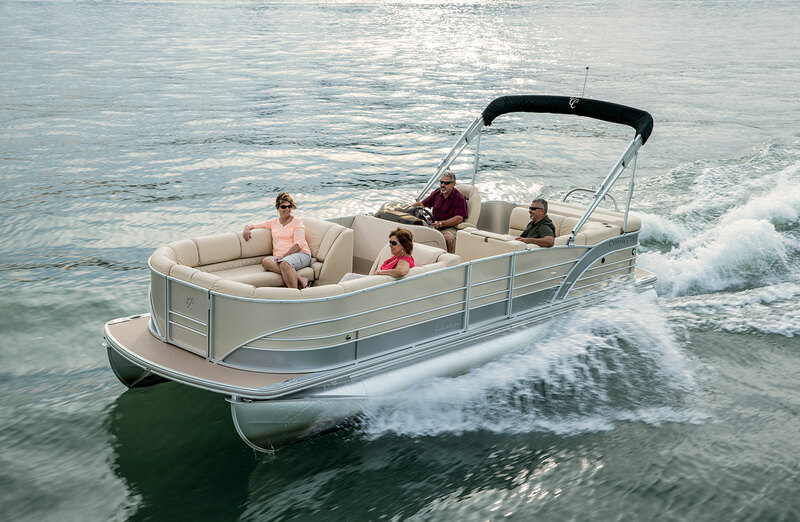 If you have any questions or would like to know more about our boats, products and services, give us a call at 660-747-0388. This entry was posted in News & Events on May 26, 2016 by Jones Bros Marine. 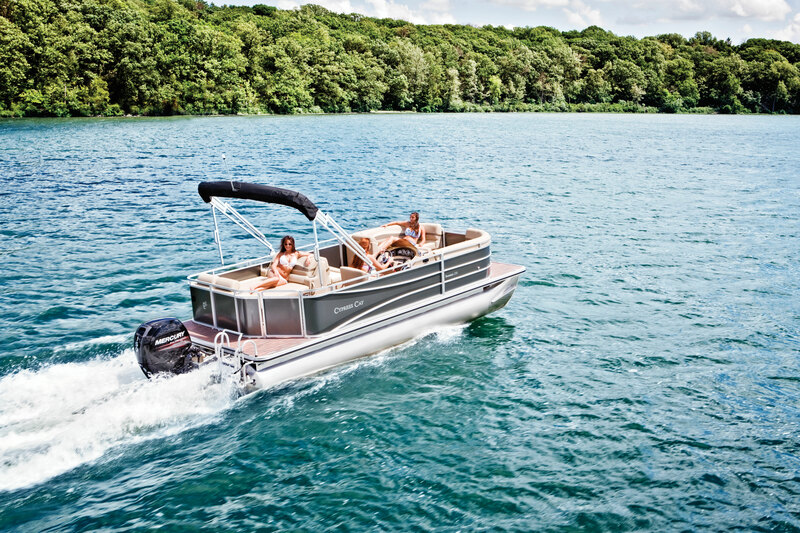 It that time of year again - time for our On-Water Demo Days at the Lake. Call Dennis for more details at 660-747-0388. At Jones Bros Marine, we believe in providing great customer service. We constantly strive to make each customer's experience the best it can possibly be. Each year, the Cypress Cay Customer Satisfaction Award is presented to Cypress Cay dealers who achieve an average customer satisfaction score of 90% or higher on customer surveys. 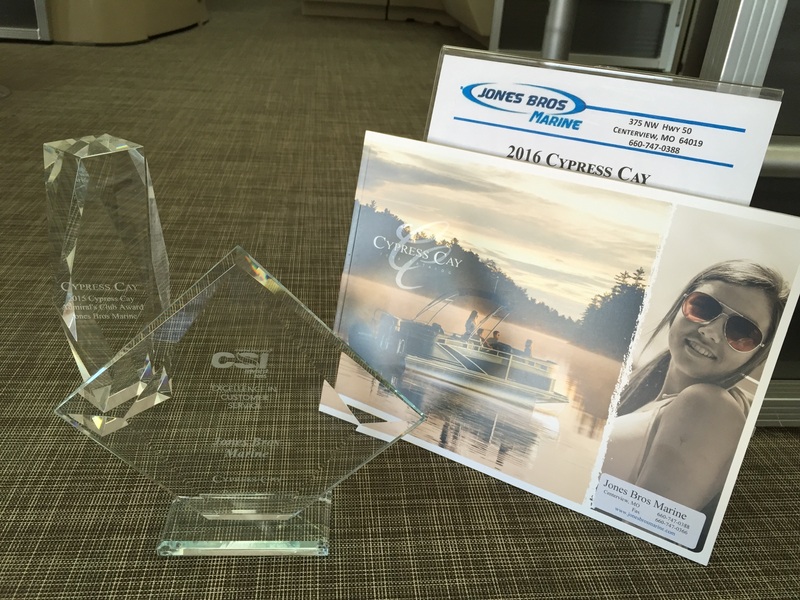 The Cypress Cay Admiral's Club Award is presented to elite dealers for outstanding performance and customer service. We are honored to have received both of these prestigious awards for 2015 and understand this would not be possible without our great customers. Thank you. It’s that time of year, getting back out on the water, soaking up the sun, riding the waves, escaping from the day-to-day routine, and spending time with family. 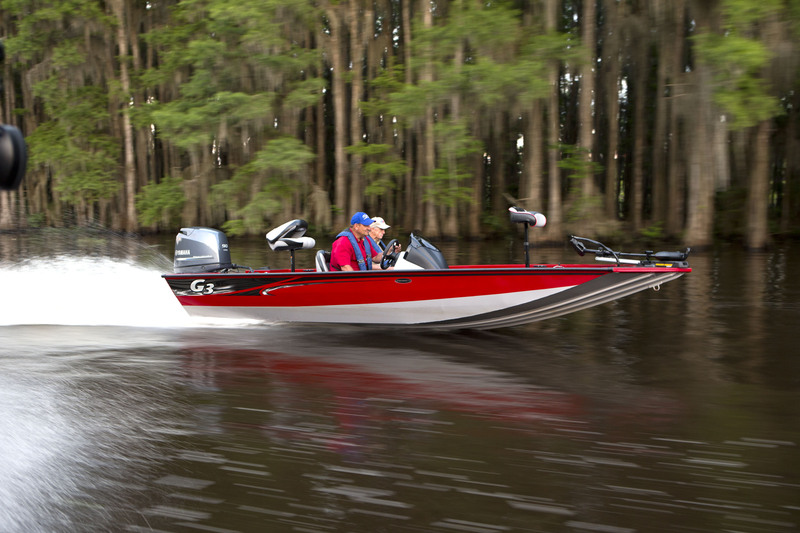 Even though you’re excited to get back out on the water, make sure you don’t overlook safety. 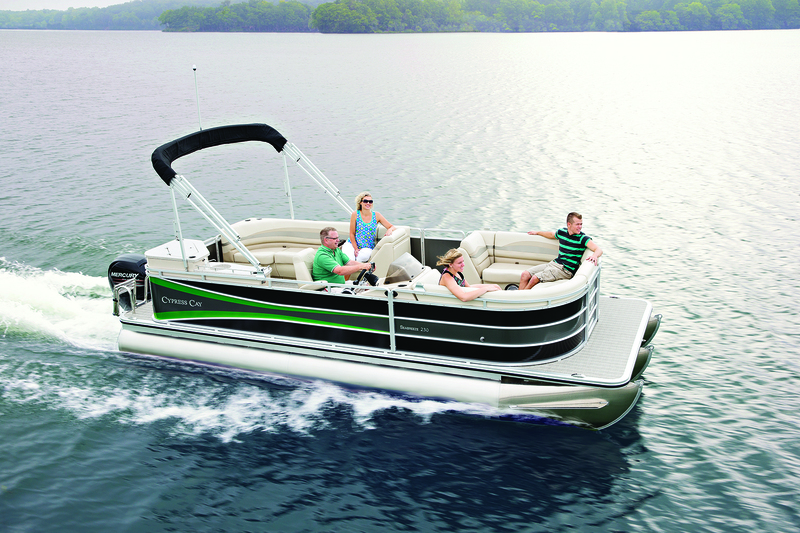 Proper boating safety practices should be part of your boating plans this summer. Here is a quick check list of Missouri boating safety tips and requirements you may find helpful before hitting the water. 1. Take inventory of life jackets. To keep everyone aboard safe and to comply with Missouri Boating Laws, there should be at least one U.S. Coast Guard-approved life jacket, also known as personal flotation device (PFD), on board and accessible for each occupant of the boat. Make sure there is a life jacket that properly fits each member on board. Fit is determined by weight and chest size and is located on the inside of the life jacket. If you are boating with children under the age of seven, they are required to wear a life jacket anytime they are on a boat unless they are in the cabin area. PFDs should not be stowed in plastic bags or in locked or closed compartments. They should not have other gear stowed on top of them. They need to be easily accessible at all times. 2. Locate your throw cushions. 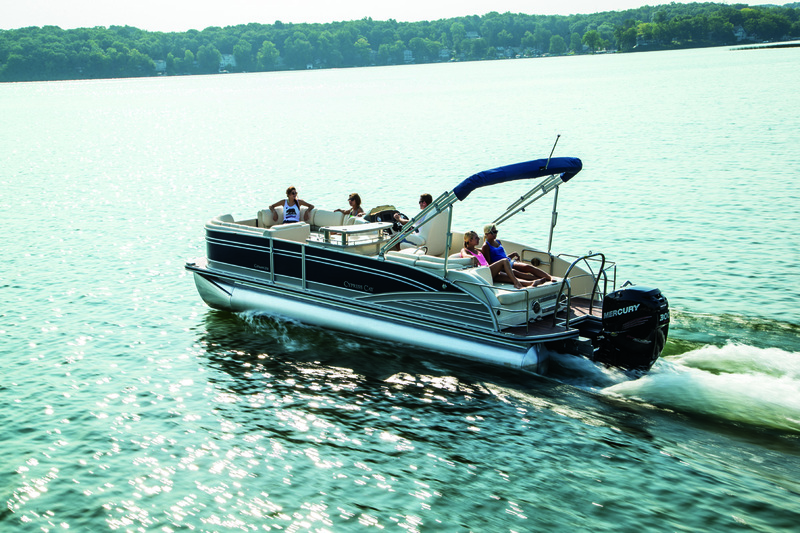 Before departing from the dock, make sure your boat has at least one throw cushion on board. 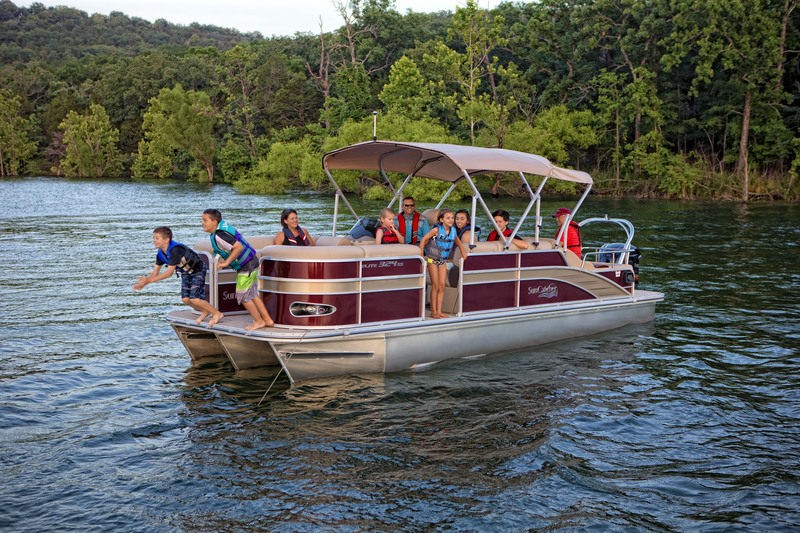 If your boat is over 16 feet in length, Missouri law requires a throw cushion must be available and accessible by all members of the boat. A life ring is also an option to keep on board. Having a throw cushion or a life ring on your boat will ensure you are complying with the boating safety requirements. 3. Check your fire extinguishers. Fire extinguishers are classified by a letter and numeral. The letter indicates the type of fire it will extinguish. The number indicates the size of the extinguisher. Type B fire extinguishers are required on boats. They are made to extinguish fires from flammable liquids like gasoline or oil. All boats are required to have a Type B, U.S. Coast Guard–approved fire extinguisher on board if there is a closed storage area that contains flammable or combustible materials, permanently installed fuel tank, flammable or toxic fluids on board, or closed living spaces. Depending on the size of your boat, you will need one or more Type B fire extinguishers to comply with Missouri laws and to keep you safe. 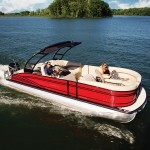 See the sizing chart below to see what the requirement is for your boat length. 4. 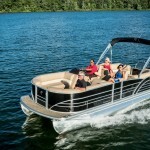 Create and share a float plan. One important boating safety tip to remember is to share your float plan with a reliable person that will not be attending. Your float plan should include details of your boat, your planned route and any stops you plan to make while on the water, departure and estimated return times, who will be on the boat, and emergency contacts. When you return from your trip, be sure to contact the person from your float plan and let them know you’ve returned safely. Make sure each passenger is familiar with your float plan, understands safety procedures and rules for the boat, and has a properly-fitting life jacket. There should also be a seat for every person on board. 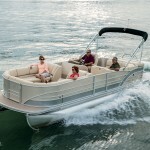 Do not exceed the maximum passenger capacity for your boat. Your boat should be equipped with emergency equipment. For best boating safety practices, make sure all passengers are familiar with the location and operation of the boat’s visual distress signals and sound-producing device. Visual Distress Signals (VDSs) allow boat operators to signal for help in the event of an emergency. VDSs are only required on federally controlled waters but are good to have on board regardless of where you are boating. 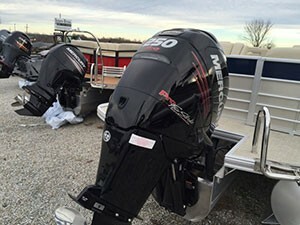 Sound-producing devices, however, are required in Missouri for boats and pontoons more than 16 feet but less than 40 feet in length. These boats are required to carry a whistle or horn to make an efficient sound to signal intentions or positions. Boats that are 40 feet or more in length are required to carry a whistle/horn and a bell on board. To meet boating safety and Missouri Boating Law requirements, every person born after January 1, 1984 who operates a boat, pontoon, or jet ski (personal water craft) should possess and carry, a boating safety identification card issued by the water patrol division. Having a secondary passenger that meets these requirements, allows for a back-up operator in the event the primary boat operator is hurt or injured. Before getting on the water, familiarize the secondary operator with the boat, float plan, and emergency procedures. Having a secondary operator is a good idea, but is not required. 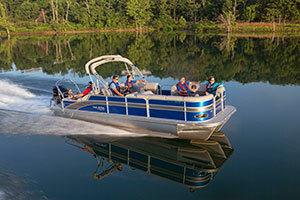 Before you hit the water in your boat or pontoon, check boating safety off your to-do list. No matter how much experience you have, it’s always a good idea to review boating safety. 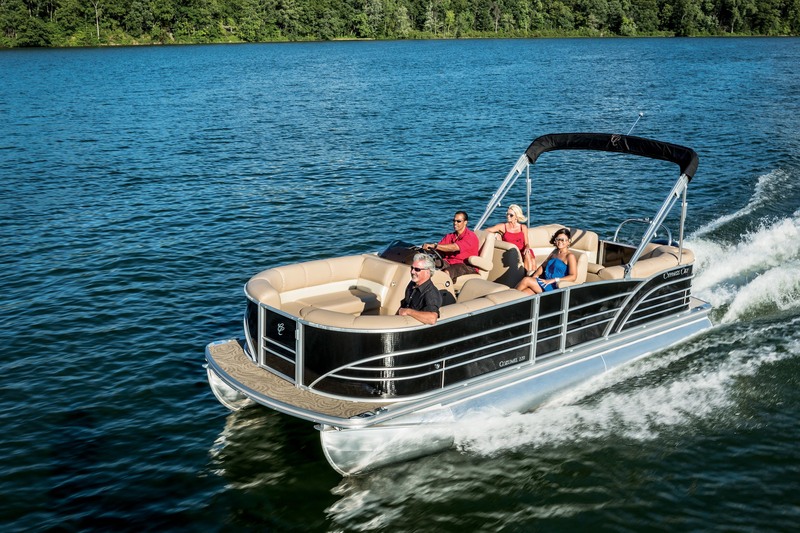 At Jones Bros Marine, we have a knowledgeable and experienced team and a large selection of boating accessories and supplies to get you up-to-date, so you can have a fun and safe experience at the lake. This entry was posted in News & Events on May 13, 2016 by Jones Bros Marine. This entry was posted in News & Events on April 7, 2016 by Jones Bros Marine. 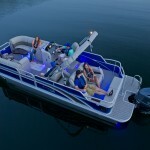 Save BIG on 2006 SunTracker Party Barge 20! 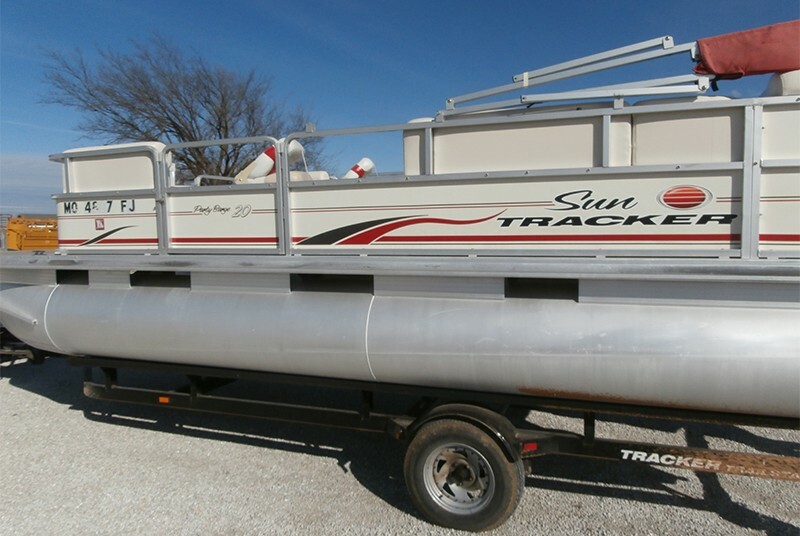 We have an incredible new price on our 2006 SunTracker Party Barge 20! 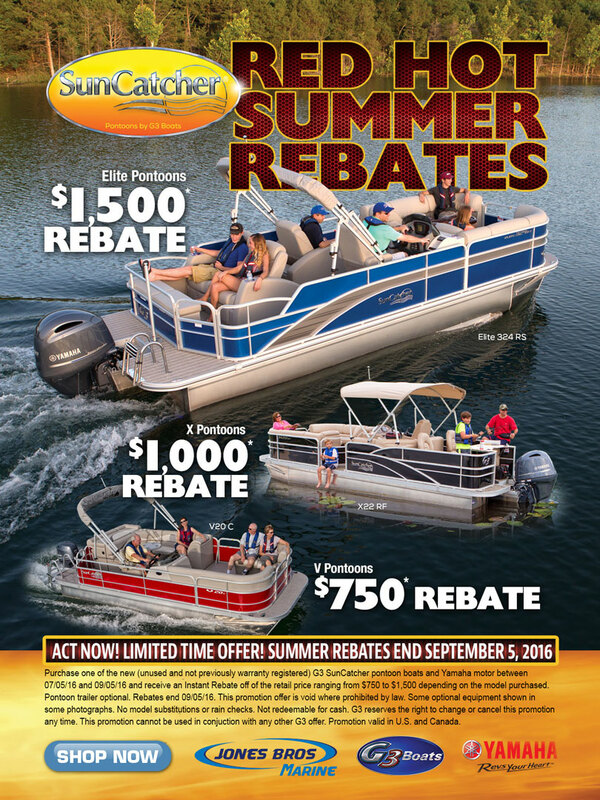 Call (660) 747-0388 or visit Jones Bros Marine for more details. This entry was posted in News & Events on March 22, 2016 by Jones Bros Marine.